Education First works closely with practitioners, policymakers, advocates and funders to design and accelerate policies and plans that support strong systems, outstanding educators, engaged students and effective investments. 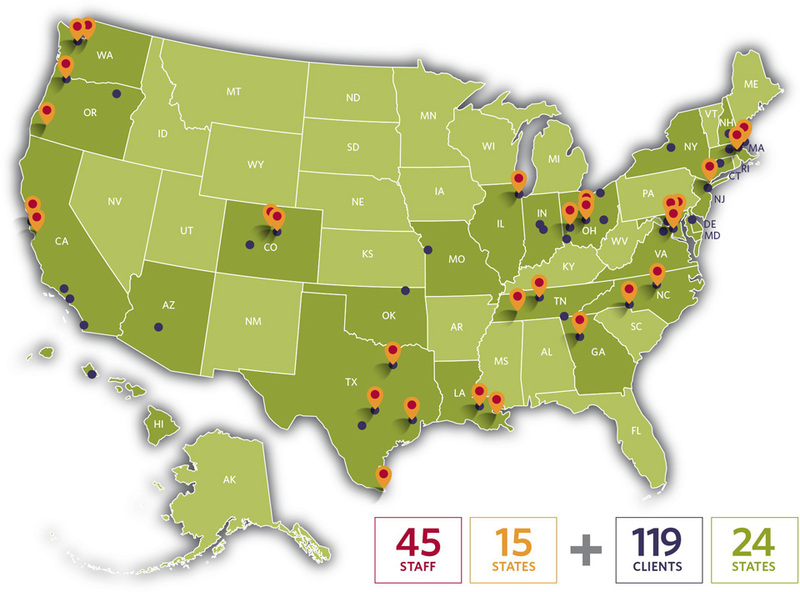 As a national strategy and policy organization with unique and deep expertise in education improvement and reform, we bring to our clients the experience of working with over 20 large districts, nearly 40 states, nearly 30 foundations and dozens of nonprofit partners. These organizations, like us, are committed to improving our nation’s public education systems in order to close race- and income-based gaps in opportunity and achievement. Achieving our mission is our bottom line. We select projects around the nation with which we can have the greatest impact on students, educators and education systems. We work at the neighborhood, city, state and national levels. We are not beholden to a partisan agenda other than doing what’s right for kids and the adults who serve them. We aim to support each organization with which we work over time, through multiple engagements, because tackling tough problems requires more than a single shot. We invest in thought leadership so our impact extends beyond individual engagements. We measure impact and we hold ourselves accountable for delivering excellent support and results in every engagement. Throughout our history, we have worked extensively for districts, states, nonprofits and foundations. Our first clients included Achieve, Advance Illinois, American Federation of Teachers, the Cleveland Foundation, the William and Flora Hewlett Foundation, Thomas B. Fordham Institute and the PIE Network, Washington State Board of Education and Washington STEM. In 2009, the Gates Foundation hired Education First to lead a large-scale, multi-state due diligence process to inform its investments in teacher effectiveness, data, college-ready policies and advocacy. From 2009-2010, Education First supported strategy, applications and/or interview prep for Race to the Top winners Colorado, Delaware, Hawai’i, Maryland, Ohio and Tennessee. In 2011, the firm was selected to support the US Department of Education and ICF International as part of the multi-year, technical assistance grant supporting all 19 Race winning states. We began supporting Race to the Top Districts in 2011. Leaders in 41-plus states and school districts—including Baltimore, Charlotte-Mecklenburg, Cleveland, Denver, Detroit, Memphis, Nashville, New York City, Seattle and Syracuse—have turned to us to design better systems. We have strengthened the strategies for many nonprofits—notably Aspen Institute, Complete College America, Data Quality Campaign, EdReports.org, Educators 4 Excellence, Educators Rising, Hill Center and High Achievement New York—and advised many foundations, including Gates, Helios, Helmsley, Hewlett, Edna McConnell Clark, NoVo, Oak, Stone and Univision. Because our mission extends to supporting deeper capacity in public education, we have published noteworthy reports, rubrics and toolkits on the Common Core State Standards, professional development, high-quality assessments, alignment of K-12 and higher education, deregulation and flexibility, and educator evaluation and development systems that improve teaching. Want to know how we can make an impact for your organization?